The Southeastern Pennsylvania Transportation Authority (SEPTA) took delivery of a Traction Motor Diagnostic System (TMDS) in February of 1997. The TMDS has proven to be an invaluable tool for SEPTA. Not only have SEPTA engineers been able to ensure that only reliable motors are placed in service, they have also been able to evaluate individual motor components, prefect assembly methods and qualify outside suppliers. For a complete description of the operation of a TMDS refer the TMDS section. If you would like to review the entire specification, request this specification using the document request form. American Railway Technologies designed, built, delivered and installed the system shown below. The SEPTA motor shop is located in Upper Darby, Pennsylvania and provides motors for the entire SEPTA system. 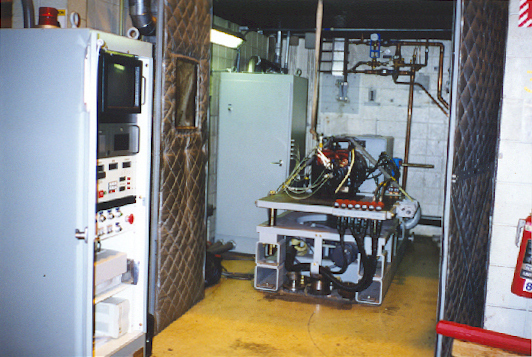 The Regulator section, which is located in a remote location, provides the electric power for testing motors. 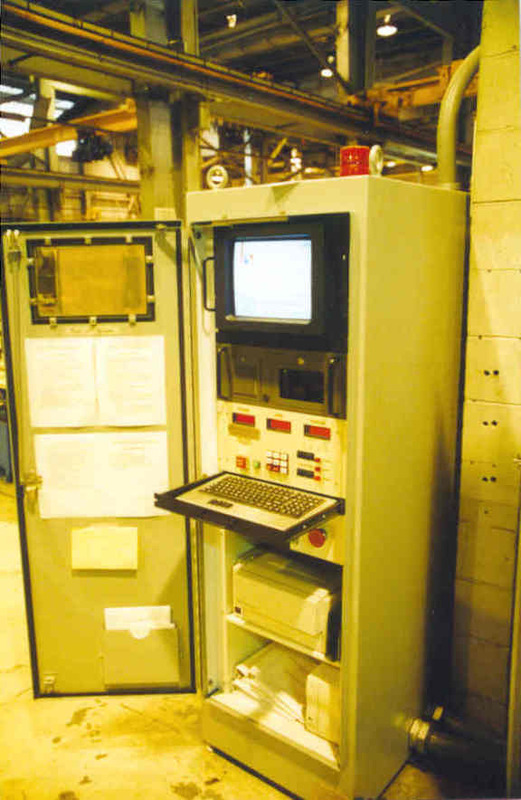 The control section, which is located outside the test cell, includes the computer, monitor, keyboard, printer and dynamometer controller. 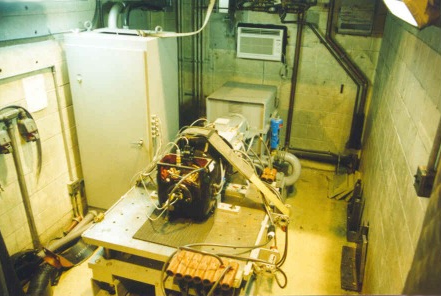 The motor test frame is located in a separate test cell. Note the double-doors with sound insulation. 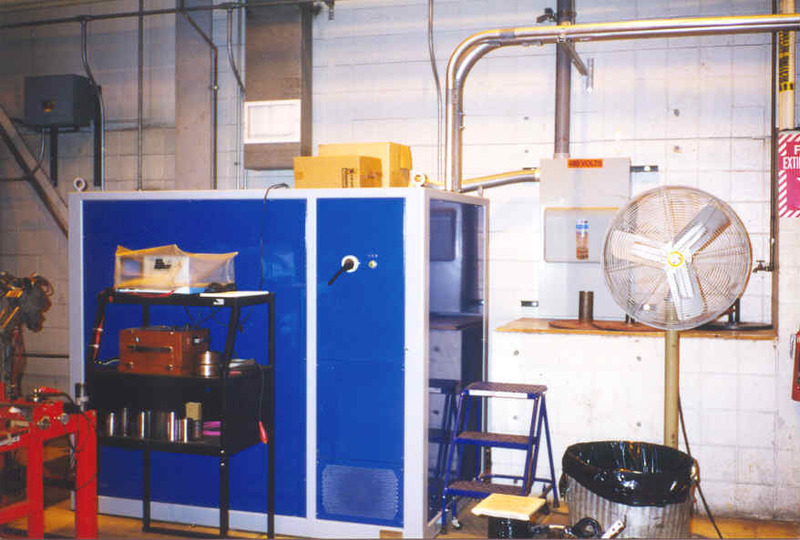 The roof of this test cell can be opened in order to lower motors onto the test frame using an overhead crane. Note the straps used to secure the motor. Steel motor mounts (not visible) are used in conjunction with these straps to ensure safe testing. 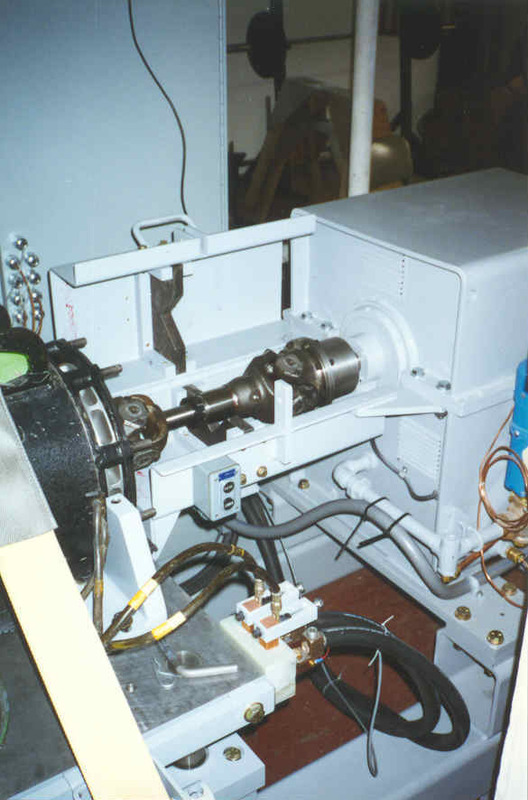 Note the magnetic probes placed on the motor to measure temperature and vibration. 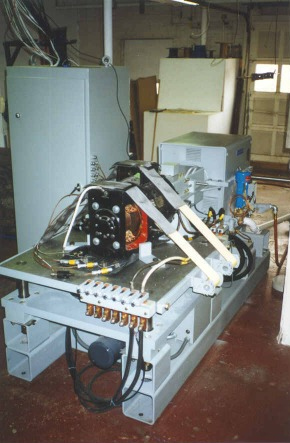 The motor test frame has a motorized motor mounting table. This allows for testing motors of different diameters. Note the table guide pins on the corners of the table. 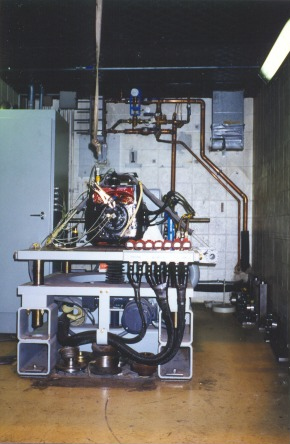 Note the plumbing on the rear wall of the test cell. This plumbing is part of the heat exchanger system. There is a water-to-water heat exchanger mounted on this wall. Note the power terminals mounted on the end of the table. The motor is connected to the dynamometer via a heavy-duty, double universal joint, telescopic drive shaft. The drive shaft is contained by a hinged cover in the case of failure. The hinged cover is shown open in this picture. Note the containment V-blocks surrounding the drive shaft and raise/lower buttons to adjust the motor table height. 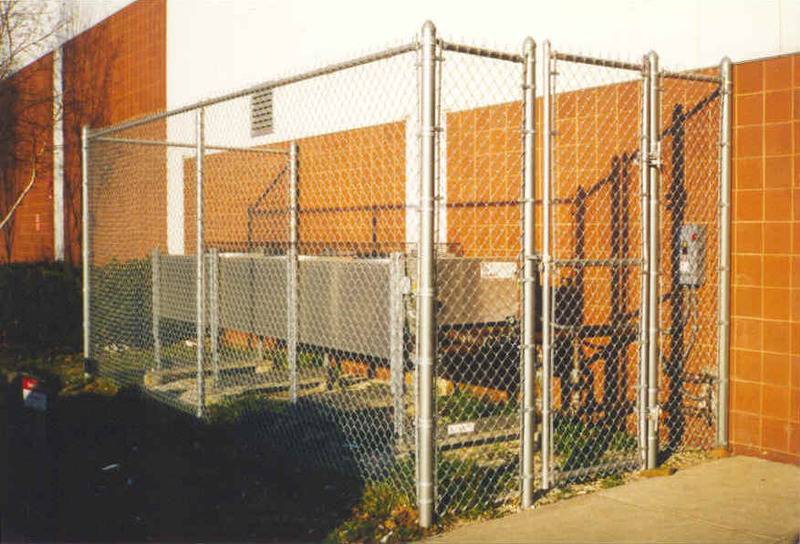 The air-to-water heat exchanger, used to cool the dynamometer, is located outside the shop. This is a three-fan unit installed on eight 6-inch footings for stability. Note the pipes going into side of the building. These pipes go to the test cell where the coolant tank and pump are located.